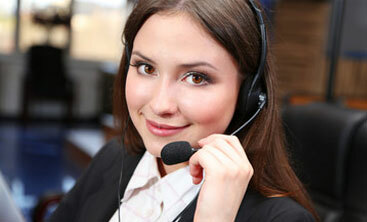 Experienced staff handles all Self-assessment specifically recruited to handle all the hassle for the return. Their vast knowledge contributes greatly to our overall service and gives the Account Managers many opportunities to discuss tax saving initiatives, with clients, throughout the year. If there is a way to save you money, they will find it! The UK taxation is one of the largest and complex taxation, comprising 17000 tax codes. Therefore, even a simple and straightforward tax return can be complicated. There are number of deadline and responsibility that taxpayer should be aware of. Why do you need to tax return? The another most important fact to be aware of is that HMRC personnel are not allowed to advise taxpayer on how to organize your affairs and minimize your tax. Therefore, it is highly recommended that you should seek professional consultation to make sure that paying correct amount of tax. Additional to above, we also help to settle a potential dispute on Tax return with HMRC. Not only this, as part of the above service, we analyze and review your self-assessment tax return to see any tax saving approach can be made and detect the anomalies which needs to be addressed before the return is submitted. if you are experiencing cashflow problems, we can explore the possibilities of deferring your tax payments or negotiating a payment plan with HM Revenue & Customs on your behalf. By giving you a fixed, competitive price, we can take the worry away when it comes to self-assessment tax returns; allowing you to concentrate on running your business. Partnerships are often like a sole trader set-up – only they have more than one owner, and each can be individually liable for the business’s entire debt. Having a partnership means sharing the responsibility of business. You might have more money and resources to invest, but you also share the risks. If things go wrong and one partner can’t pay their share of debts etc the other is responsible. One partner can make binding business decisions without the other’s consent, so you must have the highest confidence in the skills and integrity of your partner before venturing down this route. Partners are usually, but not necessarily taxed as self- employed. Our specialist can help you to draw up a partnership agreement, setting out precisely how the partnership will be run to prevent disputes and fallouts.